Just before the start of the new millennium, George Mason University had undergone a dramatic personnel change at the highest levels of its administration. In 1996, Dr. Alan G. Merten was hired as President of the University to replace the retiring Dr. George W. Johnson. Three years later, in the summer of 1999, Dr. David Potter, the University Provost, announced he would be leaving George Mason to become the President of Delta State University in Mississippi. Dr. Joseph S. Wood, Vice Provost for Academic Affairs and a professor in the Geography department, was announced as Interim Provost while Mason’s Board of Visitors formed a search committee to find suitable candidates for the University’s second highest administrative officer. In January 2000, Dr. Peter N. Stearns of Carnegie Mellon University was formally installed as the new Provost of George Mason University. Dr. Stearns was initially attracted to the opening of Provost at George Mason University for a variety of reasons. He was interested in the possibility of filling a high-level administrative position at a major university. As a Dean at Carnegie Mellon, Stearns knew he would never be able to become Provost at that university because it was a highly technical school and he was an historian. Stearns was impressed with the growth George Mason University had exhibited during its short existence, and at the time he applied for the Provost position there was a suggestion that the State of Virginia would add an additional twenty five million dollars to the university’s operating budget in the coming year. The legislature eventually did increase Mason’s budget the next year, though only adding an extra nine million dollars. Dr. Stearns possessed a distinguished reputation for academic excellence long before coming to Fairfax, Virginia. He received his A.B., A.M., and PhD in History at Harvard University before going on to become a teaching fellow at Harvard in 1961. 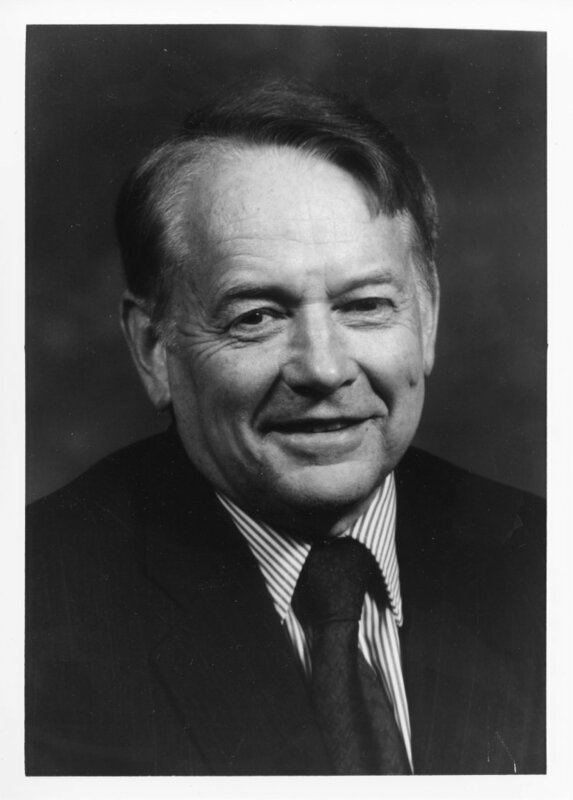 Throughout the remainder of the 1960s, Dr. Stearns taught History at several universities across the country, including Northwestern University, the University of Chicago, and Rutgers University. Dr. Stearns served as the Chair of the History Department at Rutgers from 1969 until 1974, when he accepted a position as Heinz Professor of History at Carnegie Mellon University. During his tenure at Carnegie Mellon Dr. Stearns served in a number of positions, including Chair of the History Department and Dean of the College of Humanities and Social Sciences. A prolific writer of history, Dr. Sterns has authored, co-authored, or edited more than one hundred books. The University Libraries recognized his one hundredth in a celebration honoring him in 2008. Undoubtedly, one of the biggest overall impacts Provost Stearns’ tenure has had at Mason has been on academics. One of his earliest and most successful initiatives was participating in the reshaping of the University’s general education program. Along with a faculty committee and a new Associate Provost overseeing general education, Dr. Stearns expanded assessment opportunities (for both students and faculty) in general education courses. He pioneered the creation of the Center for Teaching Excellence a university unit which seeks to enhance the skills of Mason faculty members by helping them pursue professional development, leadership, and scholarship activities. Dr. Stearns has sought to promote an increased emphasis on teaching as well as research opportunities across the university. His strategies for improving the academic climate on campus have resulted in increased student retention rates for the University and a better quality of incoming freshmen and transfer students. The required high school G.P.A. for admittance into its Honors College during 1997 is now the required high school G.P.A. to simply enroll in George Mason University. Enrollment in Honors College has increased over the course of Dr. Stearns’ tenure at Mason. Today, Honors College freshmen comprise approximately one-eigth of the University’s incoming class. Local employers in the Fairfax region have also reached out to the University to convey how impressed they are that Mason graduates do not require significant job training after graduation. An increase in the diversity of Mason’s student body has been another corollary of Dr. Stearns’ time as Provost. Dr. Stearns has witnessed a rise in out-of-state student enrollment of from 14% to 20%, and he hopes to see it reach at least 25% in the near future. International students now come from 140 countries around the world and, depending on the measurement used, it is estimated around half of all George Mason University students come from some sort of diverse background. Dr. Stearns has said that improving diversity on campus helps create a more productive learning environment for all students. The increase in out-of-state enrollment at Mason could not have occurred without the significant increase in the amount of on-campus housing that the university’s administration undertook during Dr. Stearns’ tenure. In 2000, there were about 2,800 beds at Mason. By 2011 that number had nearly doubled to about 5,500. Since his arrival at Mason, Dr. Stearns has worked tirelessly to develop George Mason University’s relationship with other institutions in the Fairfax area and around the world. The University’s most significant collaborations include its academic partnership with the Smithsonian, an environmental program with Brazil, a joint medical program with Georgetown University, and dual degree programs in Moscow and Malta. Two international campuses affiliated with the University also opened under Dr. Stearns’ supervision; one in theUnited Arab Emirates, which operated for three years, and one in South Korea, scheduled to begin an academic program in Spring 2014. The terrorist attacks of September 11, 2001 and the Virginia Tech shootings on April 16, 2007 impacted the Mason community and Dr. Stearns while he was serving as Provost. These events created special security concerns on campus due to Mason’s proximity to both the Pentagon and the Virginia Tech campus. Following the September 11th attacks, the University worked with Muslim student groups to reassure the community that Mason students were still accepting and tolerant. University life officials stressed how the community must be willing to see different viewpoints, and open dialogues were held to allow students to openly express their feelings about the attacks. During other international tragedies, such as the tsunami in Sri Lanka, Dr. Stearns helped ensure that support groups were available to assist students whose families were affected by the disasters. Dr. Stearns sent an e-mail to members the Mason community expressing his personal sorrow and concern after each of these events. Assistance for international disasters has become increasingly important to the University as its international student population continues to grow. When asked about what he would like his legacy at George Mason University to be,Dr. Stearns gave three answers. First, he wanted to be remembered for “establishing a trajectory in where teaching and research go hand-in-hand, not working against each other.” Next, Dr. Stearns hoped that he established a strong foundation for global, interdisciplinary education at Mason. Last, Dr. Stearns was extremely proud of his work building Mason’s standing as a doctoral institution and expanding the number of PhD programs available at the University. As Dr. Stearns plans to retire as Provost in the summer of 2014, it is clear that he has left an indelible mark on George Mason University’s history, present, and future. Browse items pertaining to Dr. Peter N. Stearns. GMU Board of Visitors Minutes, May 12, 1999, p. A3. GMU Board of Visitors Minutes, September 21, 1999, p. A3.